$125. Vintage antique French style walnut vanity chair, c. 1930. Swivels too! Walnut body with cabriole legs. 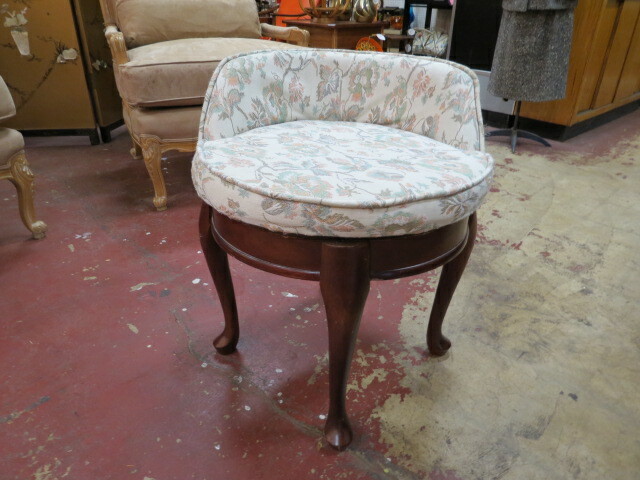 Upholstered in a neutral cream/green/pink floral fabric. Perfect for your vanity or bedroom. Very good condition. 20in round, 25in tall.